My BP Lab leverages an innovative optical sensor available on the Samsung Galaxy S9 and S9+, announced today, to provide users with richer, more accurate information about their health status. The New app leverages this revolutionary optical sensor on the Galaxy S9 and S9+ to provide contextualized feedback about participants’ blood pressure and stress levels. 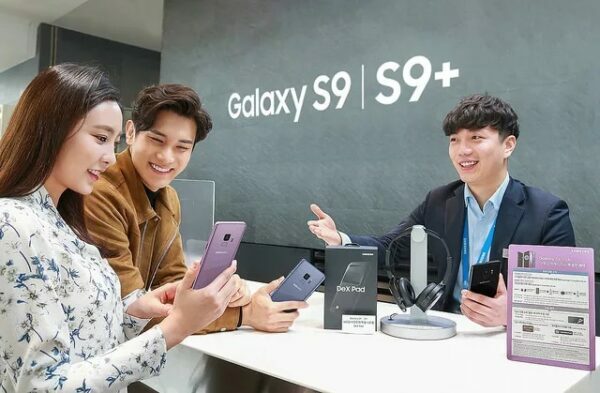 This optical sensor is built into the device as explained in Kelroy’s article Built for the Way We Communicate Today: Samsung Galaxy S9 and S9+, and allows blood pressure to be directly measured by the smartphone without any external hardware. So how does the My BP Lab app work? My BP Lab will be available to download from the Google Play Store on March 15. The program is available for users in the United States who are eighteen years of age or older. Users who open the My BP Lab app will be invited to join a three-week UCSF research study that will track stress and how emotions experienced throughout the day affect your well-being. Participants will report on their behavior, including sleep, exercise, and diet, and will use the smartphone’s sensor to make blood pressure measurements throughout the day. The study also further improves the accuracy of the blood pressure readings, by gathering data from thousands of users in real-world settings. Users joining a program led by UCSF researchers will receive personalized, on-demand information regarding their stress and blood pressure levels throughout the day. One aim of the study is to optimize My BP Lab to provide contextualized and scientifically informed feedback, so users will be able to gain a better understanding of their stress and blood pressure levels and manage their health more effectively. So be heart smart; get the My BP Lab app, coming soon in the Google Play Store on March 15! !